Get in on our Valentine’s Day sales, running now until the end of February. Re-live your amazing experience in Salt Lake City and get a free NACAC teddy bear with any purchase of 2018 National Conference gear. 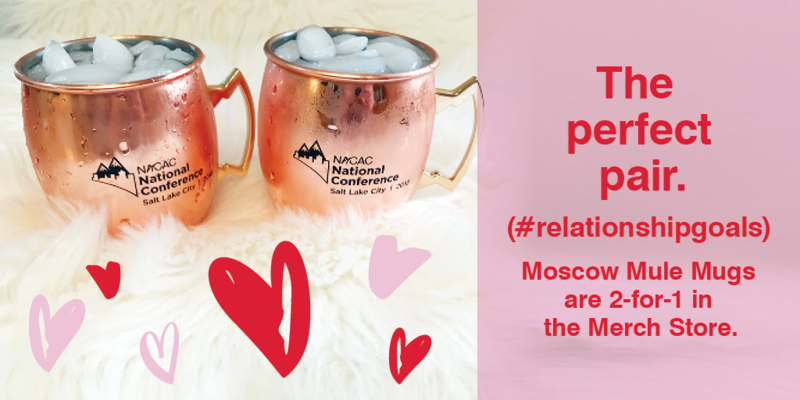 Share the love with NACAC’s two-for-one drink special. Buy a Moscow mule mug or a campfire mug and get one free. Cuddle up this Valentine’s Day. 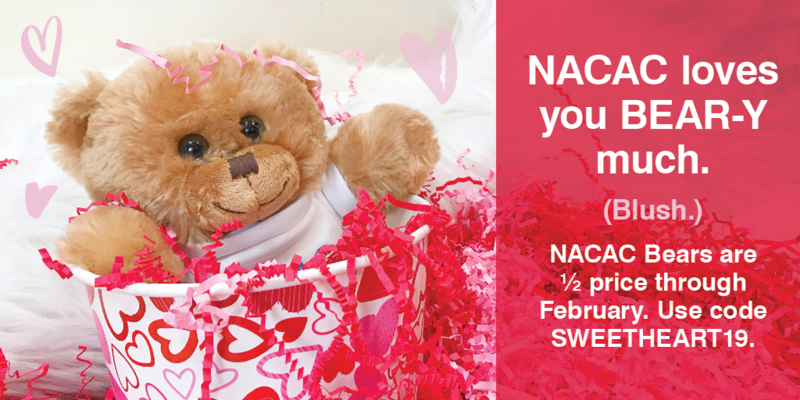 NACAC teddy bears, without the purchase of Salt Lake City gear, are half price with the code: SWEETHEART19. 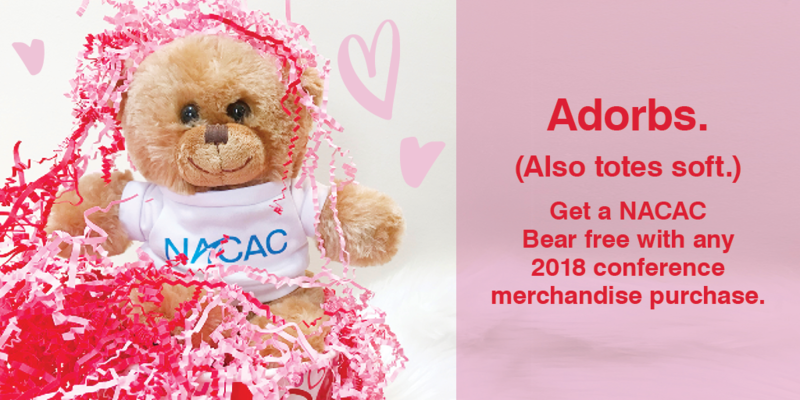 Shop and enjoy because NACAC loves you BEAR-y much!